The retro-themed, hand-animated indie darling Cuphead is headed to Switch on April 18, and its developer is excited for a whole new group of players to try it, and maybe even play some impromptu two-player at a rooftop party with single Joy-Cons. But the studio isn’t about to make the notoriously difficult action game any easier. 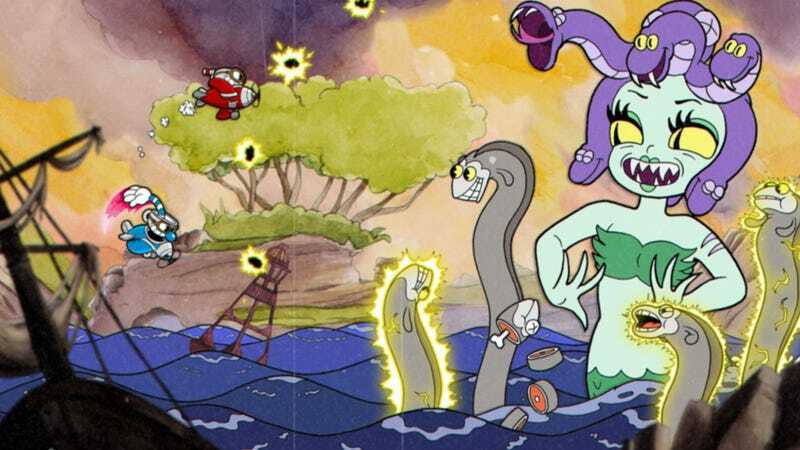 With an aesthetic directly inspired by vintage Max Fleischer cartoons and gameplay pulled straight from 8-bit run-and-gun shooters, Cuphead wears its influences proudly on its sleeve. Formerly an Xbox and PC exclusive, it will soon be available to players on Nintendo’s hybrid console. The Switch version will even get Xbox Live features added in later, in a further illustration of the buddy-buddy relationship that seems to be blossoming between the two Seattle console makers. But even though a release on Switch will likely mean more younger or less experienced players being able to try Cuphead, the game won’t be getting any sort of difficulty or balance tweaks, or extra modes, for its Switch debut. As Moldenhauer pointed out during our chat, the game already has an Easy mode, but it’s an abbreviated experience—you don’t get to play every phase of the boss fights, and you can’t play the final stages at all. That decision was made because the studio wasn’t happy with how the game would have played otherwise, he said.